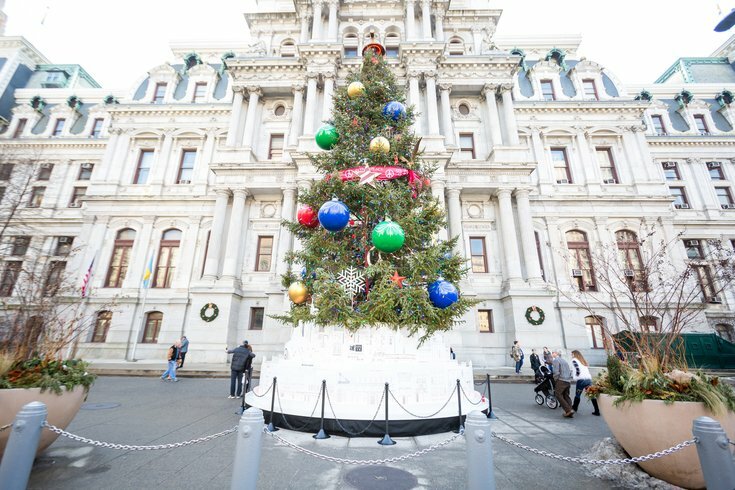 As part of the Philly Holiday Festival, there is a giant, decorated Christmas tree on the north side of Philadelphia City Hall. This will be a little harder for people to steal off the front steps. Amazon is giving you yet another reason not to leave your house, offering to deliver full-size, live Christmas trees to your door this holiday season. This isn't the first time the retail giant has sold live Christmas trees online – last year shoppers could order trees standing less than 3 feet tall. This year, however, the Christmas trees available for delivery can be as tall at 7 feet. And, yes, they'll come in a box. According to the Associated Press, Amazon will ship Douglas firs and Norfolk Island pines within 10 days of being cut down, though the packaging will not include water. So don't wait to open that box. The trees, as well as live wreaths and garlands, will go on sale in November. Some items will be eligible for free, two-day shipping through Amazon Prime. The convenience of a giant box holding a potential fire hazard will cost you. A 7-foot Fraser fir from a North Carolina farm is priced at $115, AP reported. Amazon is not the first to offer Christmas tree delivery. Just in Philadelphia last year, The Christmas Tree Stand launched and offered delivery of living Douglas fir and Fraser fir trees, including the option for in-home setup and removal. Other retailers, such as URBN's Terrain, also have offered live tree delivery. Despite the rise in delivery options, only about 1-2 percent of live Christmas trees were purchased online last year, according to the National Christmas Tree Association. Of course, Amazon's delivery scope is broader than pretty much any other retailer offering similar services for the holidays, which could mean a possible uptick in how many Christmas tree seekers opt for online shopping this year.